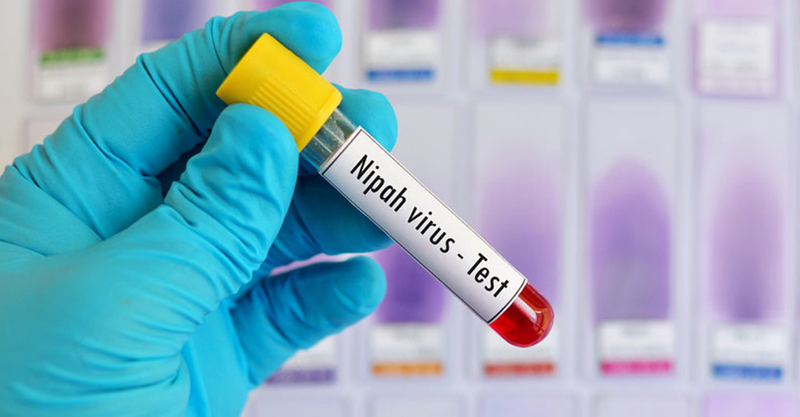 Health Minister KK Shailaja said that the fear of second wave of Nipah virus attack is receding. The minister was speaking to media persons after participating in the review meeting chaired by Chief Minister Pinarayi Vijayan. The minister participated in the meeting through video-conferencing system. The meeting evaluated that Nipah outbreak has been brought under control.”There is no need for panic. The anxieties regarding Nipah virus will end by mid-June,” the meeting evaluated.”Everyone except those who are under the observation of health department as they were in close contact with the affected, can travel and go for daily chores”. Shailaja said that the department will continue observation till June 30. “A high degree of alertness should be maintained till June 30. We are trying to ensure that not even a small lapse occur during this period. A frightening situation does not exist in the state,” the minister said. The meeting decided to distribute food grain kits to people put under observation. The food grain kits are being distributed as those under observation have to stay in their houses only. The directions in this regard will be issued to Malappuram and Kozhikode district collectors. The review meeting chaired by chief minister was held here as a precursor to the all-party meeting to beheld on Monday.